Heads up: this is not a review – I reviewed the novel on this blog in 2010. My review is here. 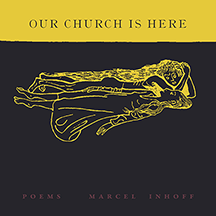 I just want to draw attention to it as a brand new translation of the book, by Charlotte Mandel, a very good translator who also translated The Kindly Ones, is about to come out. So if you click on the link you’ll find my 2010 review of the book. As you can probably tell, I had a bit of a mixed opinion of the book. And it is still my least favorite Ènard. I do like it more today than I liked it then. And Énard is generally speaking a very good writer I think we all agree, more or less. And while this is not a new review, I have blogged a couple of new reviews over the past week. You can see all of them here. How did you like this book? 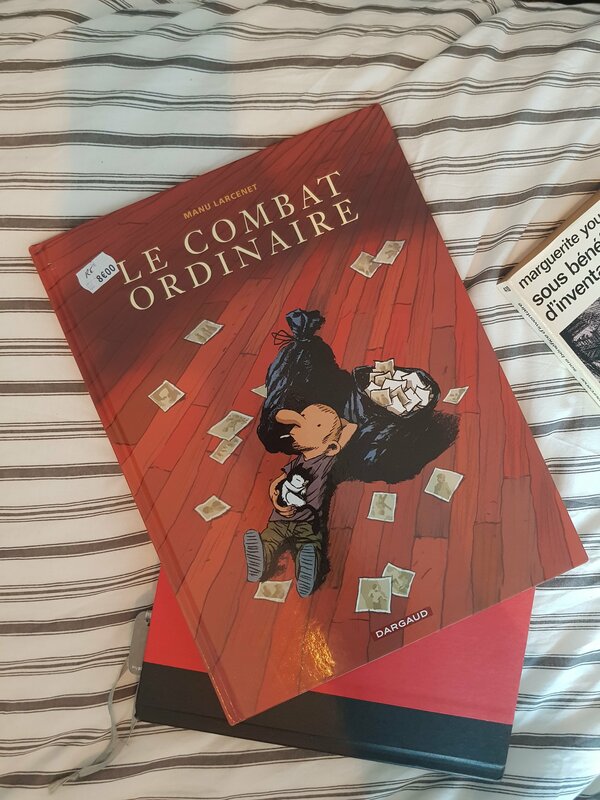 “Sometimes, winning just means not losing.” This, said by the protagonist of Lewis Trondheim’s book with Stéphane Oiry, just about sums up the darkly humorous tone of this quite excellent first volume. I cannot remember reading something quite like this. I picked it off the shelf in anticipation of my flight to London today (I’m packing and leaving in half an hour and need to stay awake, so here we are), and was surprised at the way Trondheim and Oiry create a sense of space and density at the same time. 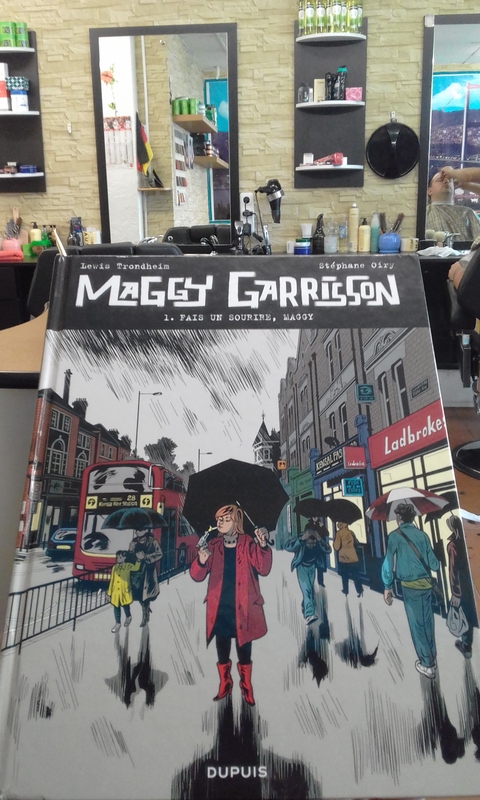 Maggy Garrisson manages to both sympathetically portray an unusual character with remarkable depth, and tell a noir crime story that follows genre conventions and thumbs its nose at them at the same time. 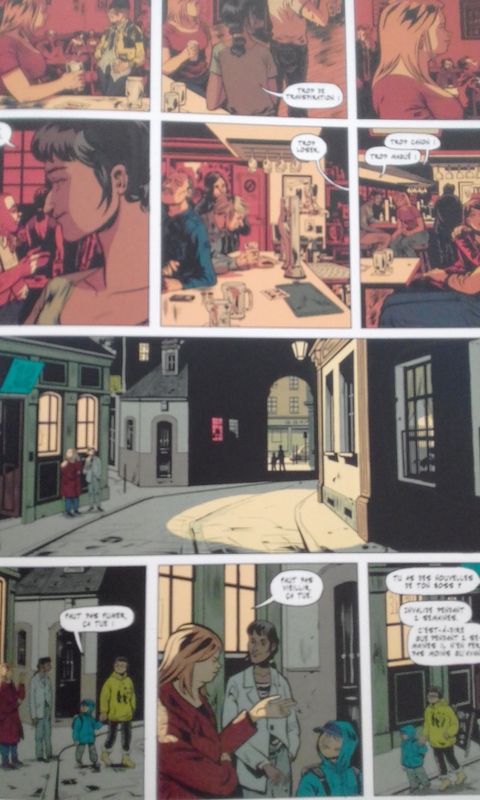 There’s also a sense, partly due to my limited reading in the genre, that in this book, the francobelgian influence on American comics has ‘come home,’ in the sense that some of the rooms and atmosphere in the book are more common in the great American artists that are all influenced by the Belgian ligne claire tradition. 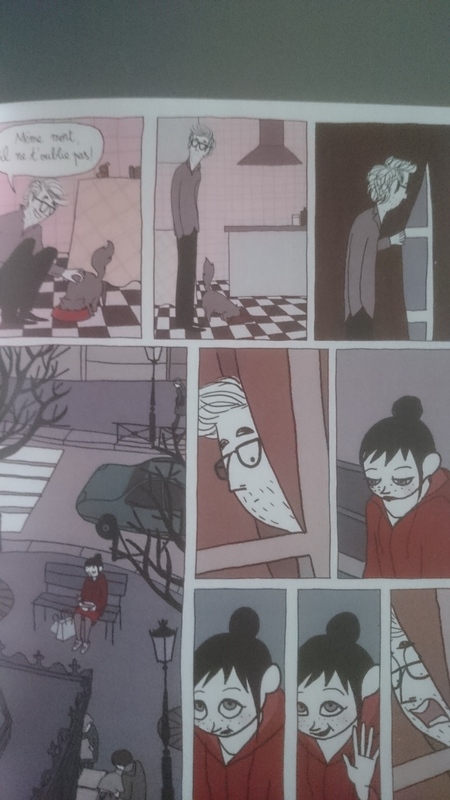 I was particularly reminded of Chris Ware and Adrian Tomine, not in the way Oiry draws his characters (though that also plays a role), but in the way Trondheim and Oiry use the space in rooms, streets and landscapes, and combine it with the real estate on the page, to create a sense of emptiness, loss, longing and loneliness. The writing itself is equally remarkable: Trondheim’s characters never say too much or too little. There’s never a sense of the writer posturing to create a sense of drama or sadness: all the dialogue is just right, sometimes driving the story forward, sometimes just filling in a gap in how we understand the characters and the socioeconomic background. This is very good, and I am looking forward to acquiring and reading the second volume, but I’d like to stress how much of a complete experience this slim album really is. I’m currently also very excited about Greg Rucka’s Lazarus, but every 120 page trade feels like half an episode, half a story, just dragging me along in a half-glimpsed plot (I really love Lazarus, but that’s not the point). Trondheim’s pacing is much different – a book by a writer who is correctly admired by many readers of comic books. The most remarkable scene is just one page somewhere in the middle. Maggy is in the supermarket as she notices a man stealing a package of cookies. Outside, she catches up with him and asks him: why did you steal these cookies? Why not the much more expensive kind, the artisanal cookies? He answers: the camera would have picked him up stealing those cookies. That’s it. The book moves on and doesn’t return to the cookie stealing, shop-lifting or this particular thief. There is no sense of overdramatizing it, but Trondheim needs it to illustrate three different points: the commonness of crime, and how much it is woven into the way poorer people make ends meet (stealing food always has important literary connections, to Hugo and others) is one element. Another is the pragmatics of crime – there is no romanticization of criminals or crime. You take what you can get, when you can get it. Crime is not a story of elaborate ego-pleasing capers. It’s a question of survival for many people, and not an evil deed, but part of pragmatic evaluations. Both of those points are relevant to the larger story of the book, and the small observation of the cookie theft ends up offering a metaphor of sorts for the other crimes committed in the book and the other criminals portrayed in it. There are criminals who we meet as criminals, and criminals who turn out to be criminals as the plot unfolds, and criminals who are not particularly criminal after all. We don’t hear about all of their motivations, but this one page with its story of cookie theft compromise serves as an illumination of everything else that happens in the book. 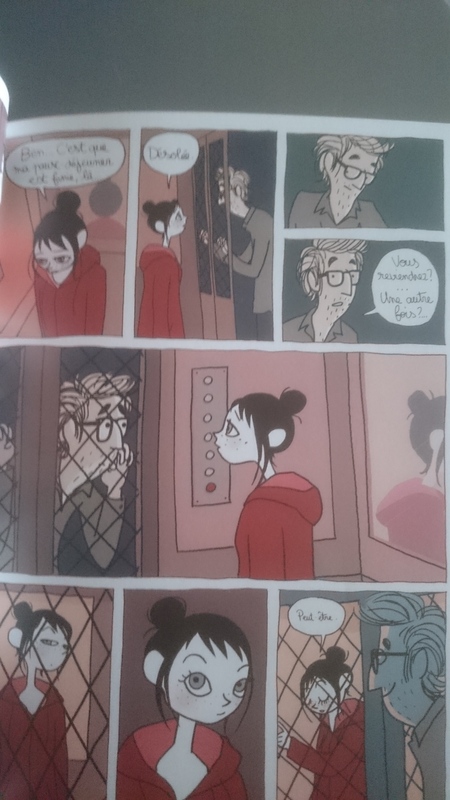 And Trondheim and Oiry do all this without offering us an explicit summary or moral, and they manage to sidestep the saccharine melancholy of many American comics this reminded me of. 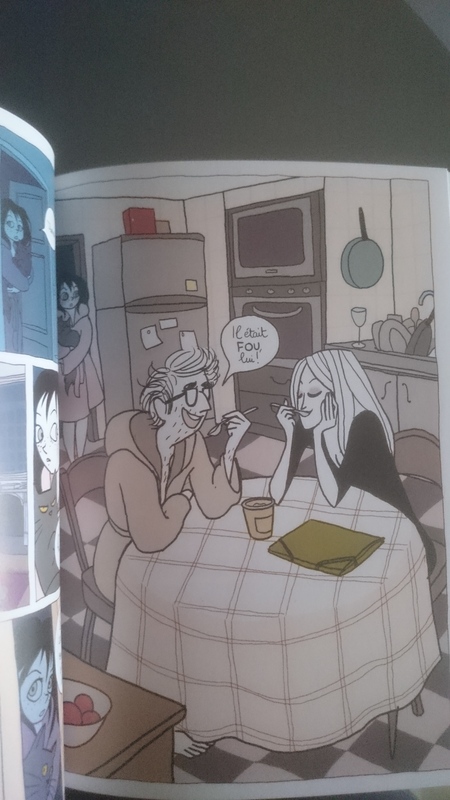 I mean, it’s interesting to me how similar many scene set-ups are, especially when compared to the most similar francobelgian comics I can remember reading. And yet, the difference to Ware, Burns, Tomine and company is so striking, that it’s hard not to see the distance as intentional somehow. So, this feels a bit odd. 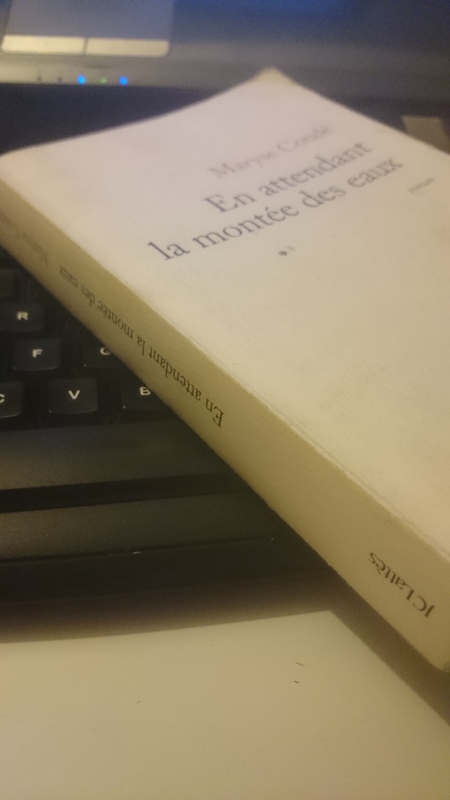 En Attendant La Montée Des Eaux is the first novel I have read by Maryse Condé. Condé is, incidentally, nominated for the Man Booker International 2015, an award given not to an individual novel but to a whole oeuvre. She is nominated for having this large and influential oeuvre dealing with the African diaspora, questions of race, the Black Atlantic, history and feminism. I don’t think she should win it, but that’s largely due to the fact that Marlene Van Niekerk, László Krasznahorkai and Ibrahim al-Koni are also nominated, three absolutely brilliant novelists. 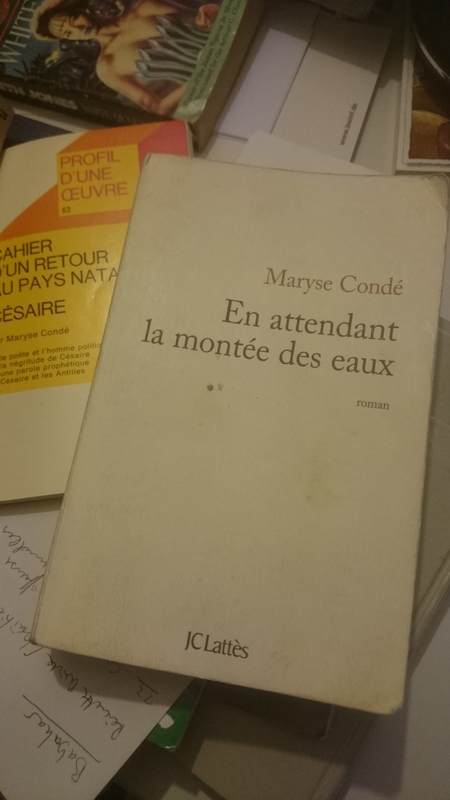 I will say this: I can’t really comment on the broader oeuvre of Ms. Condé, because En Attendant La Montée Des Eaux is the only one of her books I have read cover to cover so far. It is not, let me say this outright, the best option if you want an introduction to Condé. From what I read so far, that option would be Moi, Titouba, Sorcière or you could jump right into the deep end and read her two volume historical chef d’oeuvre Segou. Lucky for you, these earlier books have all been translated into English already. 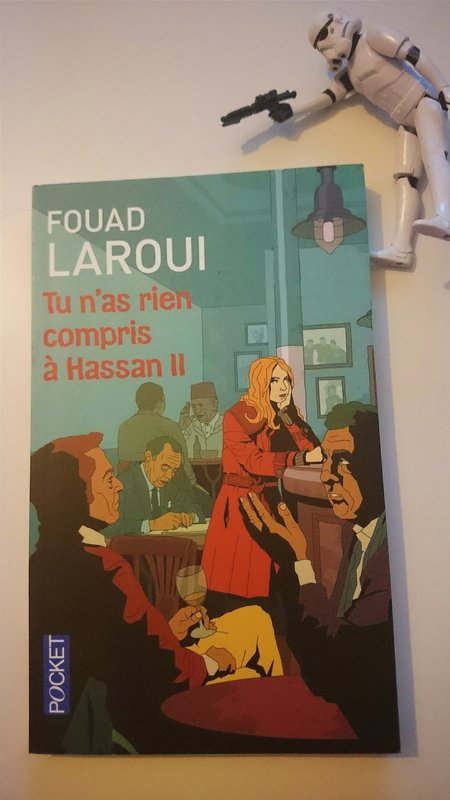 She appears to be quite generously translated, overall, unlike last year’s Nobel winner Modiano (read my take on his work here), where publishers have been trying to catch up with the sudden rise in importance, interest and significance all year. So, given that this book is not the best place to start, you should take some of my broader assessment with a grain of salt. I will admit, I was not bowled over by Condé’s novel. It’s not awful, but surely awful is not what we’re shooting for with a novelist who keeps getting nominated for major awards. Much of what’s interesting about the book is structural or intellectual. The prose is nothing to write home about. I understand that the task before the novelist here was frequently to render the speech and tale of badly educated Creole and Antillean individuals into writing, but surely that could have been achieved more interestingly. There is an odd sense of disengagement between the author and her subject – odd because so much of Condé’s work in general retraces elements of her identity, asking questions that pertain directly to her personal identity. And yet, despite all this, it’s still an engaging read, the characters still come alive, and the ideas and political convictions sparke. 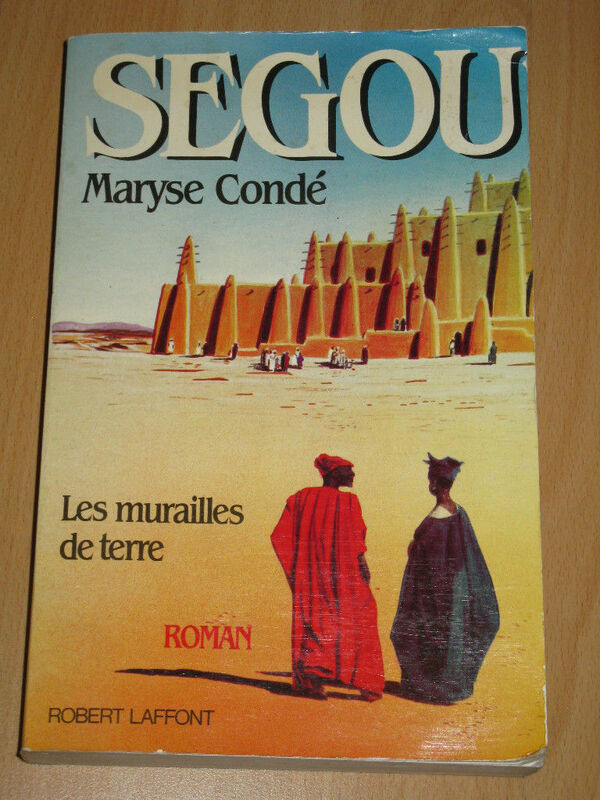 Condé herself considers this the dark final chapter of her Segou books, but its effect is measured. Read it. In keeping with my earlier warning about the book and its place at the end of a long career in writing, here is one more caveat. The book’s characters have turned up here and there in other works and in the richness of its stories Condé also re-uses ideas from earlier novels. It’s not quite like reviewing Roth’s Exit Ghost without reference to Roth’s earlier Zuckerman books, but I’m sure there’s a gap between my understanding of the novel and that of an expert reader of Condé’s work. That said, there’s no obvious lacunae in the text or inexplicable artifacts demanding to be contextualized with older books. It wasn’t until I came across an interview with Condé that this connection was pointed out to me. I actually think the book’s structure might work better if you don’t know the backstory of Babakar and his mother Thècla, but I say this in ignorance of vast swathes of her work, especially Segou. This impression of mine is due to the way the book deals with history. All major characters introduced to us tell us their story in their own words. They get dedicated chapters, called “The story of X,” and this includes a chapter on Babakar. Additionally, the story briefly, in its most entertaining section, sketches the history of Babakar’s family, including his mother Thècla who is long dead when the story starts. That very brief sketch of the family history is deft and fun. It offers a magic realist take on a tale of the Middle Passage, only to allow the rest of the novel to mostly drop the magic realism in exchange for what’s probably best referred to as melodramatic/postcolonial realism. Yet that seed allows the novel to use a ghost as a literary device, commentator and cruel conscience, but also seeds all the realism with an implicit abyss of wonder. Throughout her life and in various interviews, Condé has always expressed skepticism towards terms like the “francophonie”, “négritude” and the like, a bit like Derek Walcott, who resisted the latter term as well. She does quite a bit of legwork in this novel to express both some concepts that are covered by the terms, concepts of history and community, without subscribing to some of the pathos they come from. The mild, deeply seeded magic realism here serves as a kind of emotional underpinning. Whereas Segou is dedicated to her “Bambara ancestress,” and ends with a note of thanks to various African scholars, En Attendant La Montée Des Eaux stands alone. Orality is a central element of the book, without a supervising narrative that smooths everything in. We do get an omniscient narrator, but the facts told us in the oral narratives are never adjusted, discussed or corrected, even when they come from people that we have come to believe to be untrustworthy. There is, after all, a strong connection of the literature of the Antilles to orality. As Condé writes in her short treatise on Aimé Césaire (1978), the Créole of the Antilles developed to allow the slaves, imported from various parts of Africa, a common language. It is, according to Condé, a case of diglossia, not bilingualism – one is a dialect recognized to have a low social status, and one meant to be used in ‘proper’ speech and writing. The simplicity of Condé’s French, one feels now and then, is meant to reproduce that simple, low octane, low register speech for a kind of authenticity. 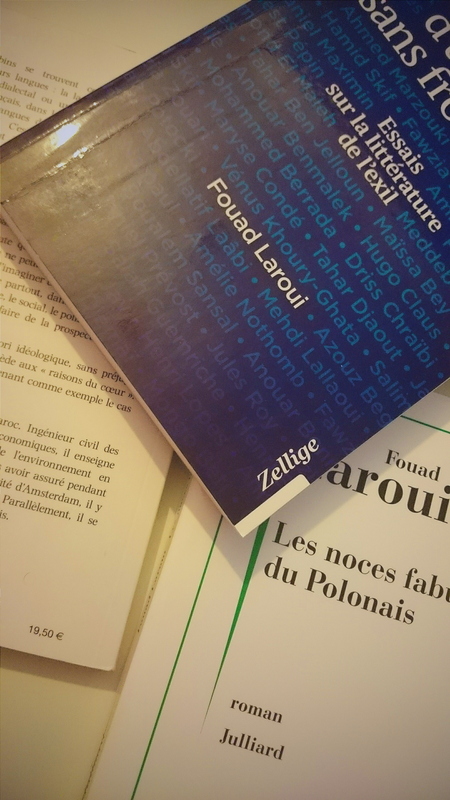 At the same time, the convoluted structure of the book, which deploys narratives as it sees fit, juggles time, memory and events in a complex pattern, appears to counteract that linguistic strategy. Similarly, Condé offers us occasional Creole phrases. She never translates them, leaving us to guess, but she also uses very few of them in the speech of individuals who you’d expect to use more of them. These structural contradictions are not unexpected in Condé’s work who has consistently resisted easy readings, and who, intellectually, must be read carefully, in order to not trip over one of her many lines of connection and thought. One rather notorious example of this kind of ‘tripping’ is an essay by Anne-Marie Jeay called “Segou, les murailles de terre: Lecture anthropologique d’un roman.” It’s not long, but a deeply fascinating attack on Condé. The main issue, and one that the essay gets most quoted for, is a suggestion of both orientalism (and even racism), and of plagiarism. Both issues are connected to Condé’s use of historians’ works on the history of Mali. Jeay lists them triumphantly and demonstrates to what extent these texts have been borrowed, and, in a second step, how racist and offensive these texts are in the first place. It’s a spectacular misreading (my own reading of it owes much to Cilas Kemedjio’s excellent book on Condé and Glissant) of a text that, after all, thanks African scholars in the back, and which uses these scholars of Western academia in order to construct an image of Africa-as-found-in-books, contrasting it with a more deeply felt personal connection and highlighting, too, the disconnection Condé herself feels towards her ancestral home. 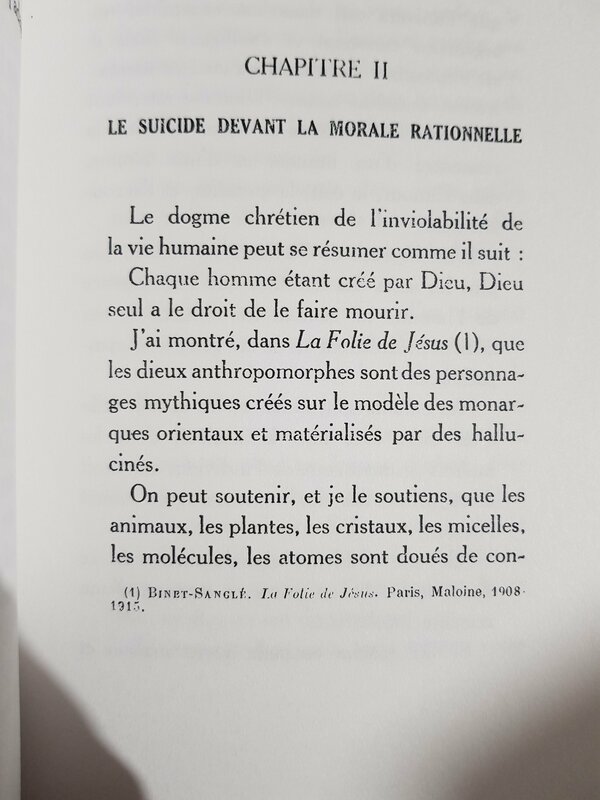 Salman Rushdie famously wrote that exiles writing about their homelands are creating fictions, in his case “an India of the mind.” So in a way, Ségou is Condé’s ‘Mali of the Mind” and her elaborate web of quotes and references are a way of foregrounding that construction. This is a disconnection that we also find in En Attendant La Montée Des Eaux. Almost all of its central characters are lost far from their home, having to redefine home. The very family story of the novel’s protagonist Babakar, which I mentioned above, is a tale of the Black Atlantic, like many others. It’s laced with a bit of superstition, which in its generational sweep reminded me a bit of Toni Morrison, and recounts to us how Babakar’s ancestor ended up a freed slave on Guadeloupe. It is Babakar’s own mother, the mysterious Thècla who would, for money and adventure, choose to take the trip back to Africa, to become a teacher in Mali. She died, leaving her young son alone in the world, but not all alone. Her specter, heckling, disapproving, would haunt him for the rest of his life (at least as far as we are shown in the book). Babakar, who would become a doctor, spent much of his life in Africa surrounded by tragedy, loss, betrayal and civil war, until he, having lost everything, decided to settle in Guadeloupe, closing the circle. This is, more or less, where the novel begins. In its first pages he delivers a dying woman of a baby girl. In her last moments, the mother, a native from Haiti, asks of Babakar to bring her daughter home to Haiti, which, with the help of the woman’s last lover and his gardener, he eventually does, having practically adopted the child. That’s where the main plot of the novel unravels. The novel’s timeline ends in the 2010 earthquake, fairly open ended, which I think I can say without spoiling the book. I mean, the book is frequently compelling, but suspense has nothing to do with it. 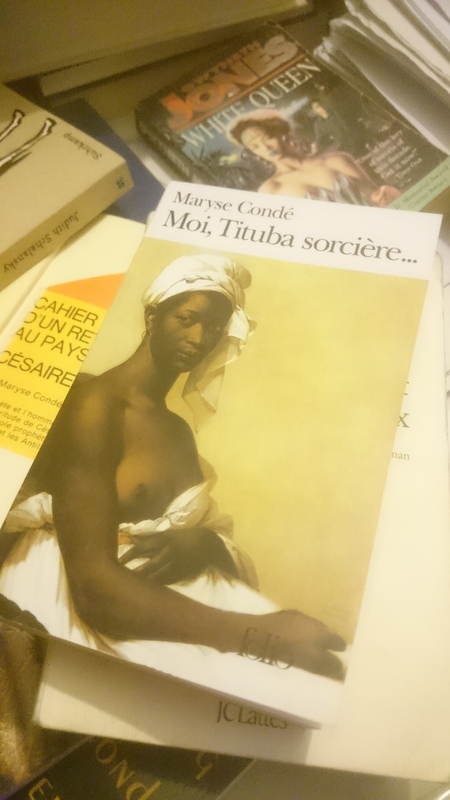 Unlike Ségou, this book doesn’t make the autobiographical connection obvious except through the author’s bio in the back mentioning her Guadeloupe origins. 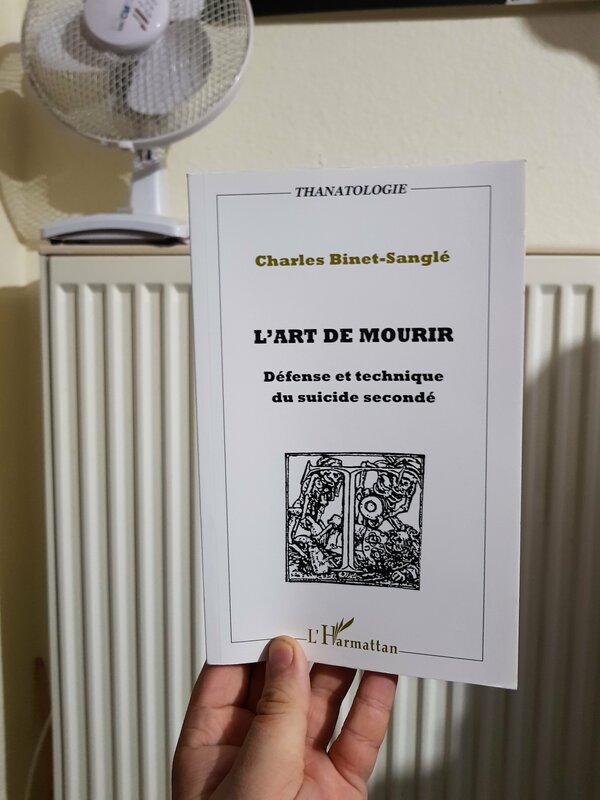 The Mali connection is not written into the book, that one depends on knowing more of Condé’s work. That’s not greatly relevant, however, since the book’s obsession with home and travel, with ethnic and cultural heritage and contemporary politics is obvious throughout. As a side note let me add that this is true for 99% of reviews/studies obsessing over authorial intention. Usually, if you read any text closely, its central concerns are fairly clear without knowing the author’s biography, which is likely to be more distraction than help anyway. Excuse the narcissism. This is me reading the book around Easter 2015. That said, I would like to return to some of Condé’s critical writing, especially that nifty little book on Césaire. Throughout her career, Condé has resisted easy categorizations, from being considered a writer of the francophonie to concepts in postcolonial studies like négritude. The latter, for example, is derided by Condé as creating a fictional image of black people that’s merely a reaction to Western ideals, an anti-western description, dependent on and already colonized by the West. 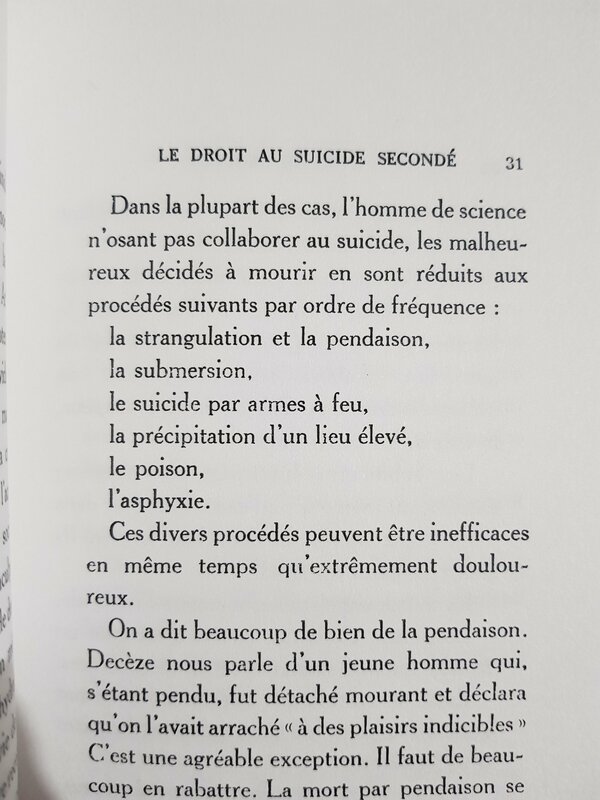 The only aspect she allows for is the capacity to survive a great deal of suffering: “Un diction antillais did: ‘An nèg pa ka jin mo.’ En français, ‘un nègre ne meurt jamais.’” In a way, Babakar’s odyssee in En Attendant La Montée Des Eaux through pain and loss and his almost miraculous survival of it all is a literary reflection of that positive aspect of négritude. I may be ambivalent about her skills as a novelist, but her extraordinary resistance to easy concepts is impressive, even if it has caused a bit of a backlash, as Walcott’s decision to write in high register English has for some critics. 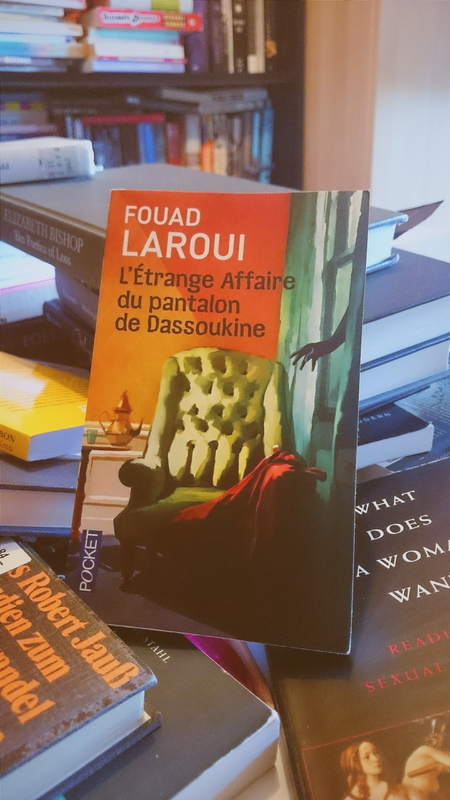 An obvious starting point here is the novel’s insistence that Guadeloupe, not being an independent nation, but a DOM. 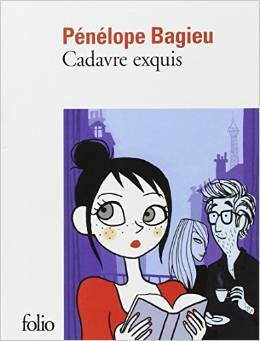 People from Guadeloupe, according to the novel, and according to interviews given by Condé afterward, don’t have a country, they are homeless. They can say “Guadeloupe is my country” but that’s a sentimental rather than factual comment. In an interview with Francoise Simasotchi-Bronès, she even compares them to Romani, nomads, hated in the countries they live in, and the countries they travel to. There is an odd echo of that position in that essay by Anne-Marie Jeay I mentioned before, where she refers to Condé as being “black but Guadeloupian” (“noire mais guadeloupéenne”) – an inauthentic person to write about Africa, tainted by living in a French dependency. And yet, for DOM writers, France is not an easy place to call home. 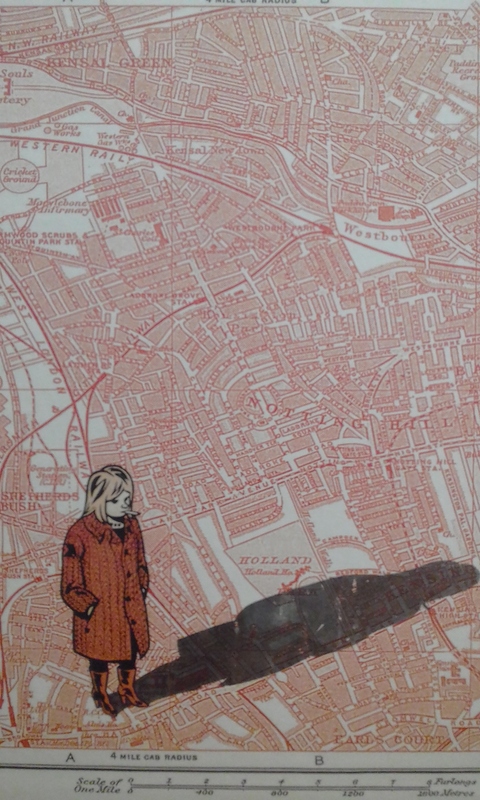 According to Bill Ashcroft, people and places are “transformed by diasporas” – and in many ways, En Attendant La Montée Des Eaux dramatizes that transformation, by offering us multiple diasporas and showing us people disconnected from ancestral homelands, people changing in exile, people desperate to forge a link with home. For Babakar, that link is reified in the ghost of his mother Thècla, but most people are not so lucky. In the end, we learn, there is no real homeland for anyone, there are only the homes that we make for ourselves, the homes we create. Sometimes because we want to live there, sometimes because we have to make do, sometimes because of a duty. This is even true for Condé. Intentionally or not, En Attendant La Montée Des Eaux is the novel of a writer who has lived away from Guadeloupe for a long time. It’s not just her harsh criticism of the idea of Guadeloupe being a country. There are quite a few artefacts throughout the book that are odd. One of the most remarkable ones comes during Babakar’s story of his life in war torn Mali. 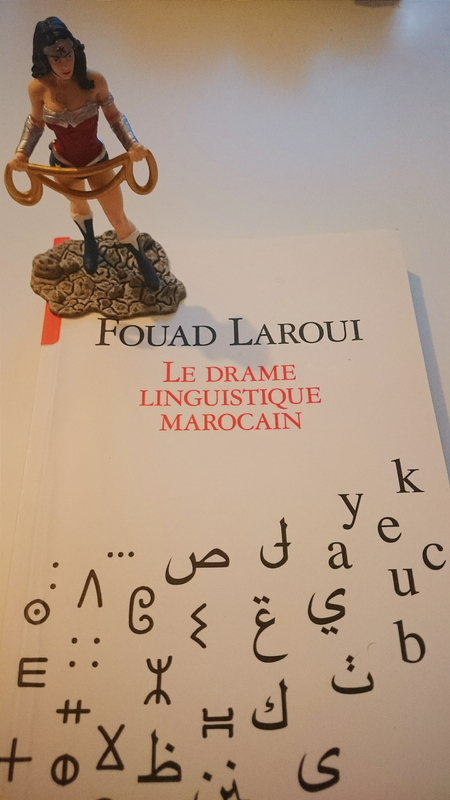 As he returns to a town he lived for years in, only to see it having been utterly destroyed by war and strife, mostly obliterated, the author has Babakar remark: “On aurait dit que pareil à la Nouvelle-Orléans, l’ouragan Katrina l’avait ravagée.” It’s very odd, you have to admit, to have the #1 association, when finding a city destroyed by war, to say that it looks like the aftermath of Hurricane Katrina. I think I would be excused to say that this doesn’t sound like Mali citizen Babakar recounting his country’s destruction and more like Maryse Condé, writer who taught for years at Columbia in New York. The decentered condition that hovers over most of the book and that has been theorized by Jacques Chevrier as “migritude” appears to also include the writer Maryse Condé. And ultimately, despite all the book’s literary shortcomings, especially as far as the prose is concerned, that’s what’s most compelling about it: it’s a book that wrestles with “migritude” on many levels, that keeps pushing ideas and narratives to center stage, including its own author’s biases. 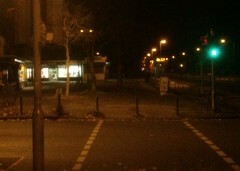 The lack of resolution, really, reflects the fluid and complex nature of the phenomenon. It’s a deeply unhappy book, but it doesn’t go for a Coetzee-style darkness. It doesn’t go for visceral brutality, it goes for inconclusive confusion. And that’s a good thing.